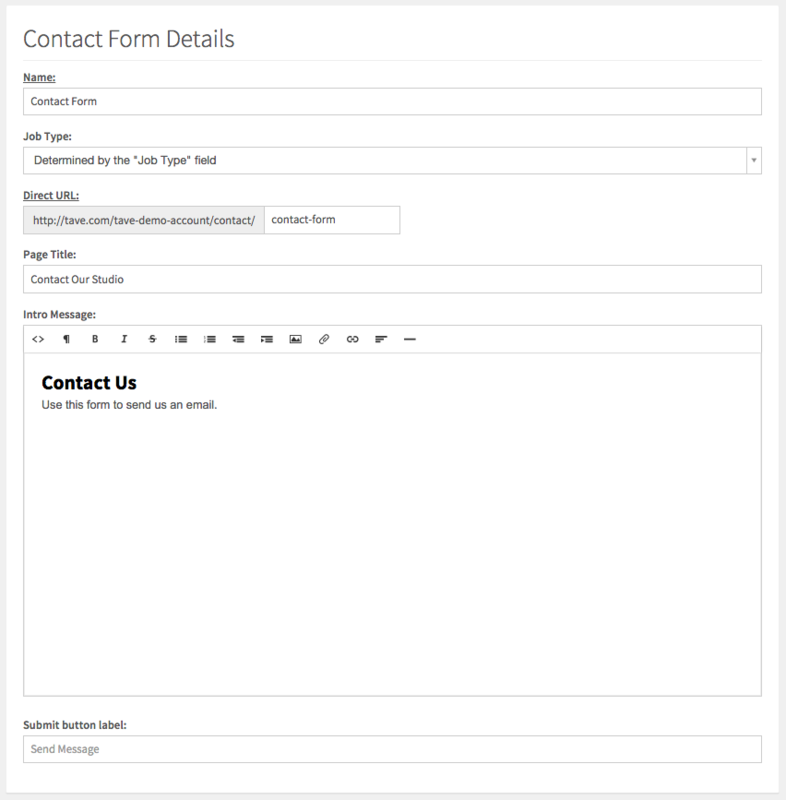 Táve gives you the ability to create contact forms that you can add to your website to capture new Leads. Let's build a contact form together. Under Settings › Account Setup › Contact forms, click the button that says "New Contact Form"
On the next page, we'll name our contact form, set the direct URL, give the page a title, add an intro message, and configure the fields. There are a few things we should look at here before we move on to configuring the fields. First off, let's explore setting the Job Type. Above we have the Job Type 'Determined by the "Job Type" field' below. That means that the person filling out the contact form will choose from a list of Job Types. This is perfect if you only want to have one contact form on your website for everything. 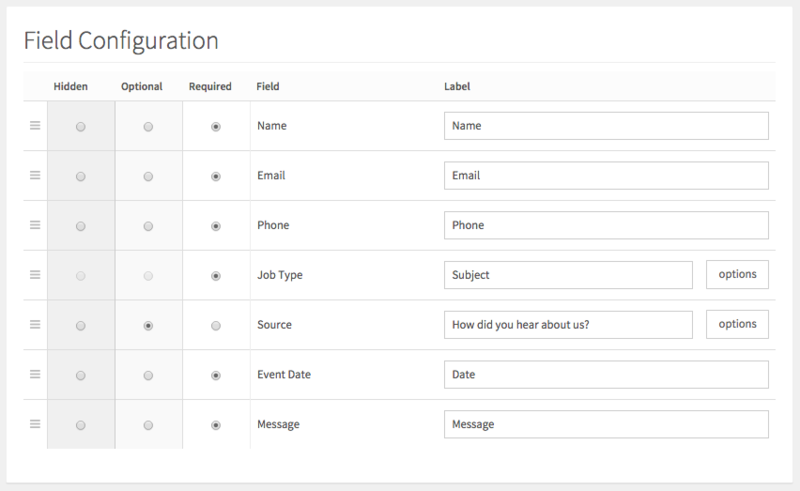 However, since you can create as many contact forms as you'd like, you can set up the Job Type to be something specific and give it a specific URL. 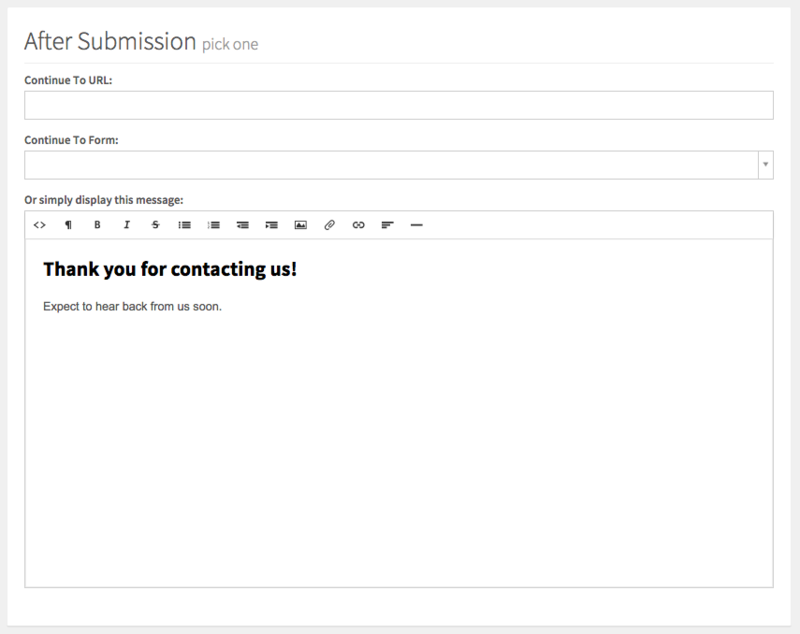 Next, we'll edit the fields we want to have displayed on our contact form. Notice there's an option field for Source. Those are your lead sources (where your leads are coming from). Learn more about customizing your lead sources here. That's it! You've created your first Táve contact form. Now learn how to get it embedded into your website here!